The former manager of the U.S. 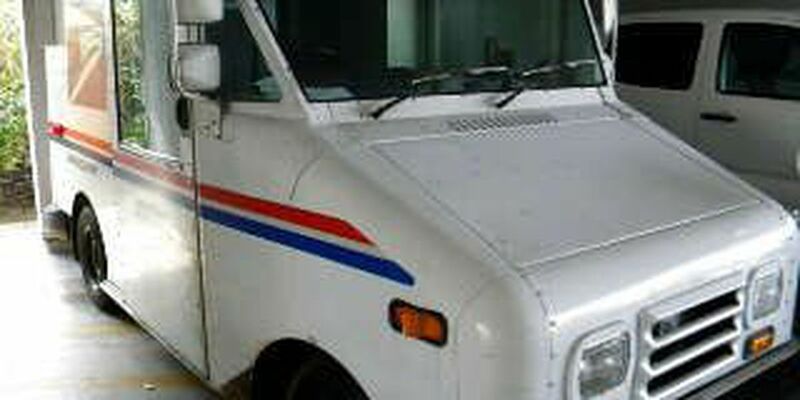 Postal Service's Vehicle Maintenance Facility in Cleveland was sentenced to nearly four years in prison for taking cash bribes in exchange for awarding business and contracts from the Postal Service, said Steven M. Dettelbach, U. S. Attorney for the Northern District of Ohio, and Monica Weyler, Special Agent in Charge of the U.S. Postal Service's Office of Inspector General. Kevin Hood, 46, of Richmond Heights, was sentenced to 46 months in federal prison by U.S. District Judge Dan Polster. Hood pleaded guilty earlier this year to one count each of Hobbs Act extortion and theft of government property. "Some defendants appear to still have not gotten the message that accepting bribes has no place in Northeast Ohio," Dettelbach said. "I commend the work of U.S. Postal Service's Office of Inspector General's agents. The corruption was persistent and pervasive, and would be continuing but for their hard work." "This crime is particularly egregious considering the defendant was promoted to this position because the former manager was convicted on similar charges," Weyler said. Hood worked for the Postal Service since 1998 and most recently served as the manager of the Vehicle Maintenance Facility at 1801 Broadway Avenue in Cleveland. In that job, Hood had the ability to award and monitor contracts on behalf of the Postal Service. The owner of a Cleveland company that has contracts with the Postal Service said Hood approached him for money in order to get work and contracts from the Postal Service. In late 2011, the business owner paid Hood in cash and believed he had to continue to pay Hood to receive work, according to court documents. On March 6, the owner paid Hood $4,500 in $100 bills. Hood placed the envelope containing the bills in his left boot. The transaction was monitored and recorded by USPS Office of Inspector General Special Agents, according to court documents. Judge Polster addressed Hood during the sentencing hearing: "It is hard to fathom on top of that for you to continue that conduct when you pick up the paper every day and hear about the prosecution and investigation of other individuals. I'm not sure if you thought it was okay or nobody's going to find you. I don't know what you were thinking." Hood is the third vehicle maintenance facility (VMF) manager is recent years to be sentenced to prison as the result of investigations by Cleveland USPS OIG special agents. In 2009, a former Cleveland VMF manager was sentenced to 22 months in prison after pleading guilty for his role in a postal theft and kickback conspiracy. In 2012, a former Akron VMF manager was sentenced to three months in custody and three years of probation after pleading guilty for his role in a conspiracy to accept gifts and payments in exchange for providing postal vehicle repair work to a contractor. This case was prosecuted by Assistant U.S. Attorneys Miranda Dugi and Antoinette T. Bacon following an investigation by the U.S. Postal Service's Office of Inspector General.